I used to had a great deal of difficulty the first time I tried keyword research as a blogger. I didn’t know where to start and what tool to use, except for the Google Keyword Planner, which honestly confused me as a total newbie. There’s a whole lot of competition out there and I knew I had to make my way through keyword research if I was to attract the right audience to my blog. The problem would have been solved if only a keyword research tool like KWFinder existed way back. So today, I created this KWFinder review to help you discover what this tool does exactly and how you can use it to your advantage in blogging. What Should You Look for in a Keyword Research Tool? What’s This Fuss About KWfinder? Finding the right keywords to optimize for is fundamental to blogging. Online searchers depend on your keywords so they can arrive at your blog. This is why it’s important to use a keyword research tool that is capable of getting you the necessary data you need. 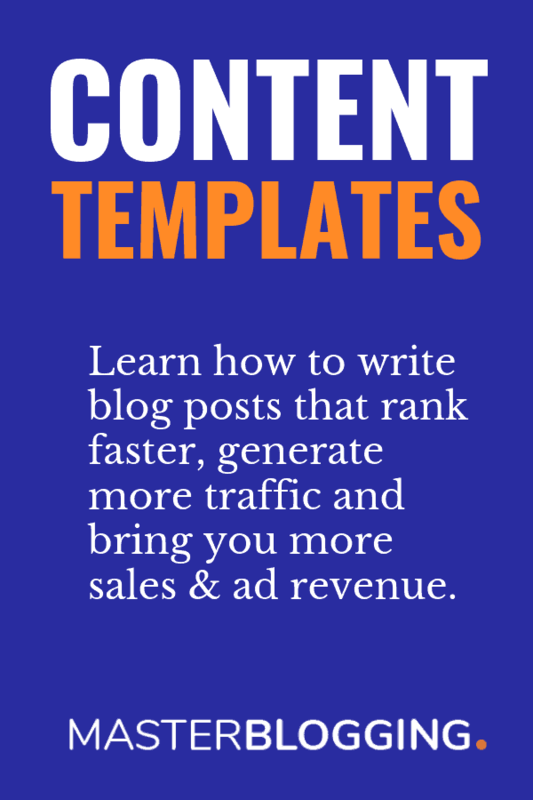 If you’re the type of blogger who’s serious about crushing your content and link building goals, it makes good sense to find a premium tool that lets you achieve this. Now before you start rummaging Google to get a list of prospective tools, first you must be aware that there are tools out there that come with a lot of extra features that may not really help. Put simply, you can survive (and win) keyword research without these seemingly shiny features. Which is why I couldn’t wait to write my detailed KWFinder review after playing with it a couple of times. You’re probably curious to know what KWFinder has in store for you. Created by the team at Mangools, KWFinder is a nifty tool that helps you find high search volume and low competition keywords in a matter of seconds. KWFinder has practical research functionalities. For example, you would be able to see metrics like the search trends of your seed keyword and other suggestions, their exact search volumes, and many others. One thing I cannot afford to miss mentioning is that this tool has an interface that looks really neat. It takes into account user experience and to me, that’s a bonus because to be honest, I easily get distracted with data that looks jumbled. At a glance, everything makes sense to me with KWFinder. If you’re looking for accuracy, customization of results, and simplicity, consider this tool. However, be aware that the number of keyword suggestions is limited. That depends on the plan you pay for. Here’s what the user interface looks like. Now that this KWFinder review has given you an overview of the tool, let’s explore the features one by one. We’re in the starting phase of using the tool. Intuitively, you’re going to enter a seed keyword which is the basis for getting keyword suggestions that reveal online searchers’ language when looking for information online. Let’s say I’m a gardener and looking to attract people to my gardening blog. If I’m going to target a specific location and use a particular language, I can choose from the dropdown list of Anywhere and Any Language. This allows me to target keywords that rank locally. Notice that you have 3 options for finding keywords. Later in this KWFinder review, I’ll show you how to get results for these three features. Suggestions - A function common to all keyword research tools where you simply get keyword suggestions. Autocomplete - Instead of using a separate tool like Ubersuggest, KWFinder’s Autocomplete feature provides phrases that match your seed keyword. Questions - This comes in handy if you would like to know the common questions people ask about your topic. After I click the button “Find keywords,” KWFinder takes me to the results. This is where the fun starts. Top pages that rank for a keyword. I’d like to stress out that KWFinder takes on a traditional keyword research approach. How so? Well, the old-school way of doing research entails using seed keywords, entering them into a tool to get a bigger list of keywords, getting search volumes, and analyzing the strength of the competition. Have you used the Google Keyword Planner? Remember that I told you it’s quite a pain to use because of its lack of accuracy? If we compare the average monthly search results of KWFinder and Google Keyword Planner, we can immediately see that GKP only shows ranges. For example, my seed keyword “container gardening” has a search volume of 10K-100K on GKP while it has 14,800 on KWFinder. I appreciate the fact that the results are accurate with KWFinder as it can help me compare apples to apples. I can’t bank on something that shows me the same ranges for two or more keyword suggestions. At the upper right hand corner of KWFinder’s results is a graph that represents the monthly search volumes of a keyword over a period of 12 months. Hover over a period in the graph and KWFinder will show you the exact search volume in a month. In May 2017, data shows that the search volume for my keyword “container gardening” has 33.1k searches. Notice that this is the same graph right beside your keyword but without the details. Take note that these bar graphs right beside your keywords give you a snapshot of their performance over time which is convenient if you prefer not to dig deeper into their monthly search volumes. Now try to click on a keyword suggestion. The bar graph at the upper right changes in a matter of seconds to display the monthly search volumes for that keyword. How well do you compete with others in your niche for the same keywords? SEO difficulty is KWFinder’s feature that lets you know if you stand a chance against your competitors. As I’ve mentioned earlier, KWFinder measures SEO difficulty on a scale of 1-100. The higher the number, the more difficult it is to rank for a keyword. This is also in relation to the color coding that goes with the score. It becomes darker with increasing competition. In the screenshot above, you can see on the left panel that all the difficulty scores for the keyword suggestions are presented at once. On the upper right panel, you get a larger version of an SEO difficulty score for a keyword and its interpretation. Look at the screenshot (above) again, notice that the SEO keyword difficulty at the upper right panel corresponds to any keyword suggestions I’d like to get further information on. I clicked on “plant pots.” KWFinder shows me a score of 46/100 which means that it’s possible for me to rank for that keyword. You might be wondering by now how KWFinder comes up with a difficulty score. I’m not writing this KWFinder review without mentioning this important piece of information. The SEO difficulty score of a keyword is not the only thing you should rely on to choose the best keywords to rank. You also need to match it up with how much traffic a keyword is getting per month. Why do I see a magnifying glass symbol in place of a difficulty score for a keyword? As I scrolled down KWFinder’s suggested keywords for my seed keyword “container gardening,” I noticed that some of the difficulty scores were not revealed. Before you panic and think that KWFinder is trying to hide data from you, know that you only need to click on a magnifying glass sign to get the most recent difficulty score. It showed me the most recent SEO difficulty score of 59 which is hard. Earlier, I mentioned that the missing scores are an aspect that I considered a CON for KWFinder. It would have been better if all the scores were displayed at once. However, when you click on a missing SEO difficulty score, it only takes seconds to load. Google Keyword Planner also shows you the SEO difficulty for a keyword, though it’s very generic. SEO difficulty is ranked as High, Medium, and Low. Analyzing the competition doesn’t end with knowing difficulty of your keyword. SERP Checker is a useful feature that helps you further analyze the top ranking pages starting on the first page of Google SERPs that compete for a keyword. The SERP Checker is located at the bottom right panel of KWFinder. Analyze SERP - This opens up in a new tab a separate SERPChecker application. You’ll find two additional metrics, Trust Flow (TF) and Citation Flow (CF). Load more - If I want to get more pages, I simply have to click and wait for the results to show. It would have been more convenient if I was able to scroll down the results instead of clicking a button and having to wait for the results to load. After I click “Manage metrics,” I’m taken to a new panel where I can simply choose a metric I’d like to add. KWFinder sources these metrics from MOZ and Majestic. For me, I think I can do away with these additional metrics. I’m alright with the added Citation Flow and Trust Flow. Just one thing though, I wished CF and TF were incorporated into the SERPChecker preview panel so I wouldn’t have to open a separate window. If you would like to explore more keywords related to one of the keyword suggestions, all you need to do is click on the arrow symbol right beside a keyword suggestion. This time, “plant pots” becomes my seed keyword. All the keyword suggestions are related to “plant pots.” Check the screenshot below. Feel free to repeat the process of clicking an arrow symbol for each keyword if you’re looking for relevant terms to include in your content. You’ll be able to open multiple tabs to compare the results for several keyword suggests by simply right-clicking on the arrow symbol. This will get you results opened in a new tab. Have a criteria in mind to get more refined keyword results? Switch on that button “Results filter” by clicking it. It will turn green, which means that you’re ready to customize the results depending on your preference. Below, you can see that for “container gardening,” I wanted a search volume of 5,000-10,000 and an SEO difficulty of 11-43. You’re free to enter details only in the areas you need to customize. Just leave the rest. I think this feature serves useful for bloggers who have certain data for their keywords already planned out. And the benefit of it is that you don’t get a very long list of keywords which you’ll need to scroll through to get lower difficulty scores, more searches, and more. The only thing that bothers me is that I need to switch on the Results filter (to green) so that my filters will take effect. A simple click would have been fine. Autocomplete and Questions are two other features that allow you to generate more keyword variations. Different variations of your keywords are great to include in your blog content since they prevent over-optimization. Related phrases also help your content read naturally which is a good thing for user experience. The autocomplete feature works in a similar way when you’re looking for suggestions while you type a keyword into Google’s search box. Let’s say I’m looking for container gardening phrases that start with the letter “t”. I get the same keyword suggestion results like container gardening tips for beginners, container gardening trends 2017, and so on. I’m not sure if you tried using UberSuggest but it’s also a tool that generates autocomplete keywords from Google search. Rather than using a standalone tool like UberSuggest for this function or doing a manual Google search, KWFinder has it readily incorporated. The questions feature is similar to autosuggest in a way that it generates related search terms. It differs in that the phrases you get have questions words such as how, what, why, and more. You might be wondering now the reason question type phrases or informational keywords matter. Informational keywords will help you rank for featured snippets (a.k.a. “position 0”). I was a bit disappointed because in the SERPChecker preview, the page URL that ranked for the question “how to start container gardening” did not show as position 0. The number before the page URL should have been 0 instead of 1. However, I presume that KWFinder automatically assigns 1 to the first result that appears on SERP regardless of whether it’s a featured snippet or not. Just remember this slight discrepancy especially when looking at your competition for an informational search query. My first impression of KWFinder’s number of allowable searches was that it was limiting. But I realized later that it isn’t, most especially if I’m a blogger who’s on a budget. I think $29.08 per month for the basic plan is reasonable enough to do 100 keyword searches in 24 hours. If I only managed one blog and created content a few days a week, it would be impossible for me to finish up my allowable 100 keyword searches in a day. KWFinder’s number of searches is more than I could ask for considering the price value. Today, you’re going to purchase any of KWFinder’s plans at a discounted price. That’s 30% off on whatever plan you choose. A keyword tool I’d like to compare with KWFinder in terms keyword searches is Long Tail Pro. It’s also a generous tool because you get an allowance of 10,000 keyword lookups in one month. That’s about 333 searches per day. I personally think that Long Tail Pro can make a good option if you have several blogs and employ multiple SEOs to optimize them. Just be careful because you can easily use up your 10,000 search limit if you’re not careful. Nevertheless, your choice of keyword research tool all depends on your individual needs. As I have already mentioned, that KWFinder is offering 30% discount to our readers, you should not miss this offer. Use our exclusive discount code and get your special discount. We’re down to the last part of my KWFinder review and tutorial. I won’t be ending this without suggesting a few other keyword research tools that may be better in specific areas than KWFinder. Go ahead and check them out. One aspect that makes Ahrefs a better alternative to KWFinder is that it doesn’t limit the number of keyword suggestions I get for a seed keyword. In fact, I can get thousands of suggestions. This gives me more opportunities to see related phrases to add to my blog content and rank. If you review KWFinder’s plan, notice that the basic plan gives you only 200 keyword suggestions per search. The average keyword SEO difficulty score is not automatically calculated for some keywords in KWFinder. With Long Tail Pro, all the difficulty scores are ready. Again, I find this advantage very convenient. Know the keywords that are driving traffic to a close competitor of yours using SEMrush. You’ll be able to do reverse engineering, a technique in which you enter a competitor’s domain first in order to uncover their best keywords. This is useful if you don’t have an idea what your keywords will be yet. Overall, KWFinder is a tool that helps me easily come up with keyword ideas, grasp a keyword difficulty at a glance, and analyze competing pages with their readily available metrics. I know I already mentioned this, but I cannot get over the fact that it is newbie-friendly and looks appealing and organized. So if you’re looking for practicality and results in a few seconds, go ahead and check out KWFinder today. Hopefully, this KWFinder review helped you! KW finder seems to be a much better and easier tool to find suitable keywords. I really like its design and the way it displays the keywords with all the useful data. But the only thing that I don’t like is the LIMIT! Every KW Finder Plan has a limit. So, It’s not unlimited like Ahrefs or Semrush. Anyways, For me KW finder is the best SEO tool. Thanks a lot for providing this detailed review. It is really amazing tool that helps me find better keywords in my niche. It is great having such tool in hand. I using it which makes my site rank in better place. Nice deal from your side. Another great article Ankit.I am using Kwfinder from quite sometime. I love its feature of finding me low competitive keyword on which I can create to rank better. I also love to find keyword specific to a country or a city. I would love to see a video tutorial Ankit. Please start your Youtube channel soon. I really love KWFinder because it makes the KW Research very easy and simple. I am thinking to buy it but not sure which plan should I buy because I am a big user. Can you suggest me any plan as well as give me the discount. What is the free alternative of KWfinder?